The month of September is for many the month of new beginnings but also that of new starts, and the House of Formation of the Community of Saint Martin is no exception. With the departure of don Montfort de Lassus for the boarding school of Pontlevoy, the team of priests of the House of Formation saw the arrival of don Augustin Azaïs and don Ludovic de Mas-Latrie for the start of the new seminary year. This year, they had the joy of welcoming around twenty entries for their propedeutic year and 16 entries for their first year of seminary. 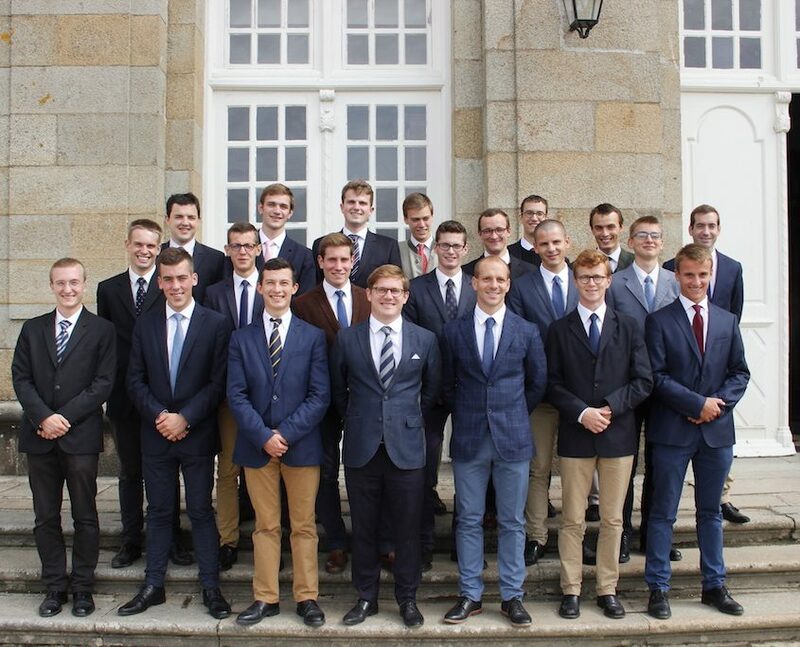 In order to prepare for the start of the new term, the older seminarians had arrived some days earlier in order to get the house running and ensure a warm welcome for the new entries. Thus on September 8th, the year was launched with Mass on the feast of the Nativity of Our Lady. Don Louis-Hervé, responsible for the formation, reminded us of the importance of listening, obedience and patience in the formation of a future priest, and invited us to deepen these dispositions throughout the coming year. After these beginnings, a long and busy month of September awaits the seminarians!